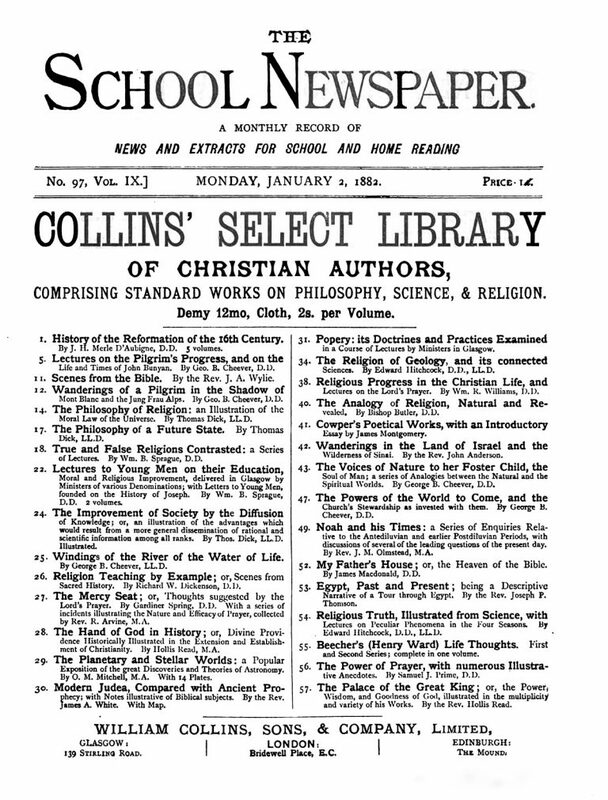 An advertisement for the Collins Select Library of Christian Authors, which ran in The School Newspaper on January 2, 1882. 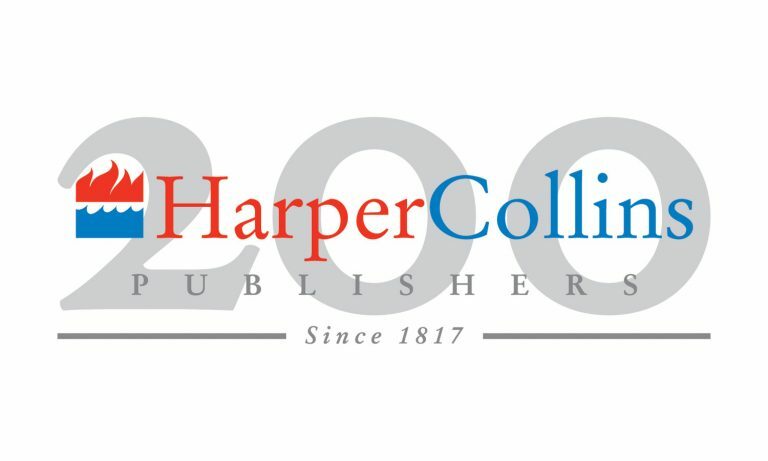 The Harper brothers created collections of titles that allowed readers to amass an entire library instead of buying just a single book. The Harper’s Family Library, School District Library, Classical Library, New England School Library, and Library of Select Novels—all published in the 1830s—represented a bit of marketing and packaging genius. The volumes that comprised these libraries were reprinted from existing stereotype plates, helping lower printing costs and retail prices. Sales frequently surpassed expectations. 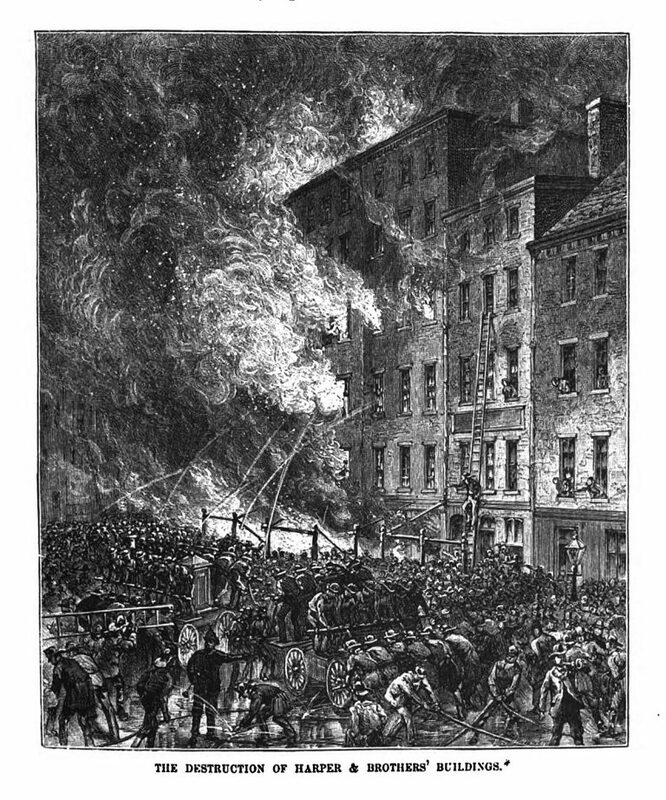 Harper’s Family Library came to include 187 titles of history, biography, and travel. With mandatory education on the rise, Harper’s School District Library became a required purchase by school boards and ultimately grew to include some 295 volumes. Harper’s School District Library had the widest distribution and influence. 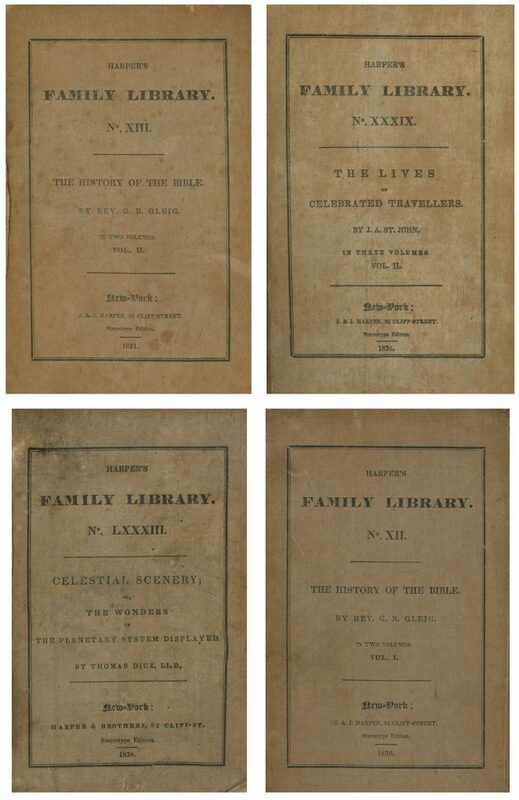 As new settlements sprang up across the expanding frontier, the company distributed more than 600,000 School District Libraries between 1836 and 1855, including titles such as Tales of the American Revolution, History of the Fine Arts, and Plutarch’s Lives. 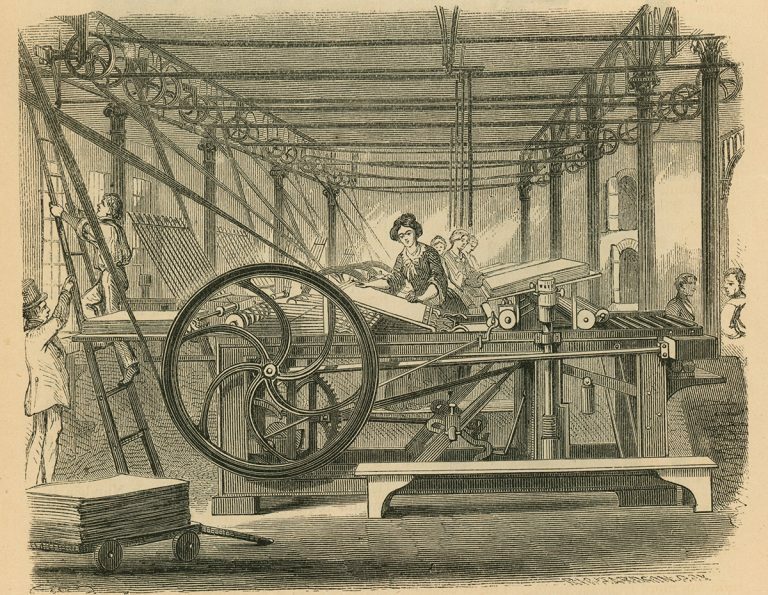 Their New England School Library (1837), a first in packaging and distribution, was a collection of 75 volumes that was shipped directly to schools in a 19″ x 29″ pine cabinet, ready for installation on any library wall. The prepackaged library idea was not new. 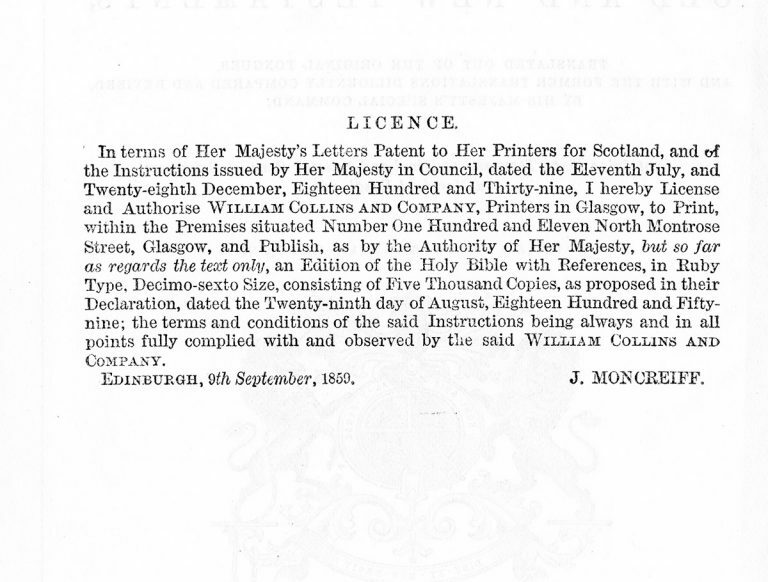 In 1822, a decade before the Harper brothers packaged their first library collection, William Collins published the Select Library of Christian Authors, with prefaces penned by contemporary religious leaders. By the time the series finished, this popular library had grown to include 70 volumes.